Jim Maxim Jr, President MaximTrak Technologies champions technology-driven Finance and Insurance (F&I) processes for automotive and powersports dealers. Its industry expertise and product leadership help these retailers deliver more streamlined, transparent, and compliant F&I services for today’s digital dealership and their customers. The company’s technology platform eliminates paper processes, creates digital clarity, user convenience, and streamlined workflows. These advantages help F&I departments improve profits and deliver a better customer experience. A dealership’s F&I department secures financing or lease acceptance for customers, prepares, and transmits contract documentation to lenders. It also presents to customers after-sale offerings such as vehicle service contracts, GAP protection, tire and wheel protection, and other aftermarket products in high demand by today’s automotive marketplace. The F&I department is a pivotal revenue-generator for dealerships. Because MaximTrak replaces manual- and paper-intensive traditional F&I activities with digital processes, it enables digital signature capture and digital document time stamping. This verification is important compliance to show customer acceptance or decline of presented options. Federal consumer finance regulations require this consistency. MaximTrak tools help keep dealers compliant with these regulations. The technology-driven F&I processes that MaximTrak enables, affords dealers the opportunity to realize significant increases in F&I margin dollars per vehicle retailed and considerable improvement in average volume of aftermarket product sales. In many cases, MaximTrak also helps to improve dealer CSI scores by enabling a customer friendly process. Many automotive manufacturers, large public and private dealer groups, smaller groups, and single rooftop dealers trust MaximTrak and have made it their F&I technologies provider of choice. MaximTrak’s family business found global success by using technology to bring harmony to compliance processes, the drive for profitability, and the “customer experience”. This unique approach to F&I led to the development of innovations that transform traditional thinking of F&I as just a compliance department, to F&I as a valuable profit center. MaximTrak solutions employ dealers and manufacturers with robust F&I tools that help them deliver a more transparent customer experience and increase the sale of aftermarket products. “Addressing F&I presentation and sales practices in automotive and powersports retailing is the genesis of MaximTrak,” said Jim Maxim, Jr., president, MaximTrak Technologies. “Our familiarity with and acumen in operating in the dealer landscape has positioned us well to observe and capitalize on missing elements in the F&I process, stumbling blocks to dealership profitability, consumer satisfaction, and regulation compliance. The MaximTrak name finds its origins not only from the Maxim family, but also from its credence to ‘maximize’ sales and track performances. MaximTrak redefines the F&I vehicle-buying experience and helps foster improved customer satisfaction by helping dealers deliver a thorough and comprehensive F&I solution in less time. The automobile business is waking to the need to incorporate technology solutions into how it engages with consumers. This includes recognition that today’s consumer is a digital consumer who often makes business choices based on those that most reflect how they want to do business. This means digitally and a technologically rich customer experience. “MaximTrak is not just the name of our company. It is also the broader flagship name of the entire platform that helps finance managers create professionally tailored digital menu presentations for their customers,” Maxim said. • MENUTRAK, a best in class F&I retail sales tool, presents a dealer’s menu of aftermarket products and services in a highly professional, interactive digital format. It integrates a multitude of F&I systems into one centralized platform, streamlines the process flow, reduces time spent in lengthy dealership transactions, and ensures higher financial returns. • e-TRAK is an enhanced suite for electronic contracting between the dealership and its portfolio of lenders or captive (OEM) finance agencies. It saves administrative and sales-process time for dealer and buyer. In just a click, e-TRAK digitizes all sales contract and F&I documentation and integrates it into the dealership’s core operating system called the Dealer Management System (DMS) where it is also archived. • DASHBOARD, a comprehensive reporting tool, brings activities visibility and business-performance metrics to dealership management in real time. It saves management from the time-consuming routine of reviewing monthly accounting reports. DASHBOARD’s rich features include data aggregation, e-mail, and reporting services. • FLITE, which is the next level of customer experience that employs the latest touch technology. Tablets, TVs, and table-top devices are used to create a media-rich, powerful, and comfortable F&I process. Customers review deals, take a customer profile survey, review recommended products, dive deeper through videos and sales tools, build custom packages, review accept/ decline, contract, and digitally sign, right on screen. 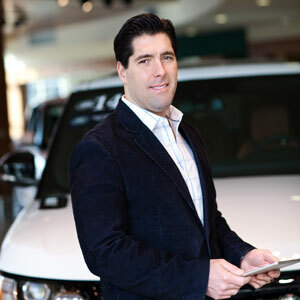 The company has earned long-standing associations with such noteworthy industry leaders as Nissan Extended Services North America, Nissan, Infiniti, and FCA US LLC (Fiat Chrysler and its brands Chrysler, Jeep, Dodge, RAM and Fiat), as well as Harley Davidson Financial Services, Assurant Solutions, Allstate Dealer Services, and Road Vantage, among other leading providers to the industry. In one instance, a Fortune 200 company that needed help in deploying systems in eight different tertiary markets approached MaximTrak. They had been impressed with MaximTrak’s speed in delivering a highly versatile and effective solution suite to help it survive market competition. From the beginning of the sales cycle to the implementation and execution stage, MaximTrak delivered without being deterred by the complexities prevailing in multiple-dealer operating systems. By using the right combination of products and services, MaximTrak integrated the F&I systems into the client’s back-end claims administration platform to provide an integrated user-experience. Harley Davidson Financial Services (HDFS) also experienced similar benefits of incorporating MaximTrak’s MENUTRAK to streamline and simplify back-end administrative processes. The customer saw nearly 30 percent increase in F&I revenue and its dealers a $350-per-vehicle-retailed profit on the sale of each bike. MaximTrak says it has no secret mantra to grab the limelight, but believes in giving undivided attention towards strengthening of relations with customers and its own workforce. “It’s a fact that even in a technology-driven world, the human element surpasses every strategy. As a software company, we can never overlook these relations. Our people are our innovators whose efforts help us lead market trends,” Maxim said. Integrity and prioritization mirrors the company’s philosophy. “We never conduct our business in a manner that would compromise our customers or ourselves. Doing business is like sports that requires discipline, consistency, dedication, and prioritization,” said Maxim, an ardent golf lover who perceives a huge similarity between the work culture of MaximTrak and the highly competitive arena of sports. After having achieved growth and victory in the automotive space, the company is focusing short term on revamping its existing product platform. “MaximTrak with its exemplary set of F&I technology products and innovative solutions is set to make the technology-driven F&I office more expedient, seamless, interactive, and an all-digital experience, for dealership staff, customers, lenders, and aftermarket product providers alike,” Maxim said. A provider of F&I systems solutions for retail automotive and powersports dealerships and manufacturers.